Didn't write WBPSC WBCS 2015 Prelim exam? Waiting for our review? Well, here it is! West Bengal Public Service Commission (WBPSC) has just conducted today West Bengal Civil Service (WBCS) Preliminary Examination 2015. The written exam was held in one session starting from 12.00 p.m. Now we are going to write a review and post-exam analysis on WBCS Prelim 2015 written exam. Read out! English : Questions were moderate. PSC always shows its standard as usual! History : Most of the questions were easy. Few were tricky. You have to read those questions carefully. Candidates have confusion in some questions. Geography : Easy to moderate. Economics : Moderate. Few questions were from same topic, but different questions. Current Affairs : Easy to moderate. So friends, how many questions have you attmpted? Share here in comment box. Note : We will publish soon expected cutoff marks in WBCS 2015 Prelim exam on our website. Stay Tuned! 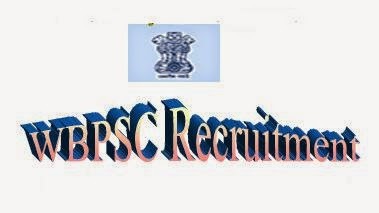 2 comments for " Review on PSC WBCS Prelim 2015 Exam held on 03.05.2015 "
do you have the last 10 years cut-off data...........? ?